Car insurance for teenagers is a must for various reasons that are not limited to a higher possibility of accidents, mistakes made when behind the wheel due to inexperience and the desire to choose speed over safety. While most parents dread thinking about the premiums insurance companies charge for teenage car insurance, these 7 money saving tips can help you breathe easier while choosing insurance policies. Comparing teenage car insurance policies is now a simple task, due to the various insurance comparison websites that exist online. Choosing a website that allows you to compare two or more policies from different insurance providers will further aid your efforts in saving money while insuring your teenager’s car. There is a reason, people shop for policies online, it is cheaper, more convenient and saves time. While purchasing a policy directly from the insurance provider’s website is an option, you can also choose to opt for third-party insurance sites that offer you discounts for trusting them. A little-known fact about purchasing insurance in our high tech world is that there are various apps available for smartphones, that can help you save a significant amount in the long run. Checking the reviews of insurance apps online, before installing one is a recommended step. Teenagers often prefer cars that have a wide variety of body and engine modifications. While such cars might make your teenager happier, such vehicles will ensure that the premiums for any policy skyrocket. The thumb rules to follow is the safer and simpler the car, the lower the insurance premiums. Insurance providers also consider the horsepower of the car before quoting premiums. The lower the horsepower of the car the cheaper the premiums are. Insurance providers consider various factors while deciding premium rates. One of these factors is the place the car is parked at as this directly translates to possibilities of theft, vandalism and other mishaps. Another factor that insurance companies consider before rolling out premium rates is if you live in an urban area and if the vehicle will be driven primarily in a crowded neighbourhood. The reason insurers give lower premium choices to people who live in peaceful neighbourhoods with lower traffic is because driving in such localities translates directly to lower possibilities of accidents, scratches on the vehicle and other damages while the car is being driven. A vehicle alarm or an immobilizer will lower your premiums as such safety mechanisms; prevent thefts, vandalism and similar mishaps from occurring. Before choosing any safety equipment, ensure that you get a model that will do the job, and check for reviews of the chosen device before making a purchase. Each add-on feature that you opt for will increase the teenager car insurance premiums. Choose add-on features that will add value to your policy and not those features that might never be used. Choosing an insurance plan that allows you to pay the premiums by the month will go a long way in helping you save money. In addition, choosing a teenager car insurance plan with higher excess will help you save money as a higher excess directly translates to lower premiums. Keep in mind that a higher excess will also imply that in the event of a vehicular accident, the amount you pay from your pocket will be in proportion to the amount of excess you choose, thus choosing a mid-ranged excess might be the best way to go. 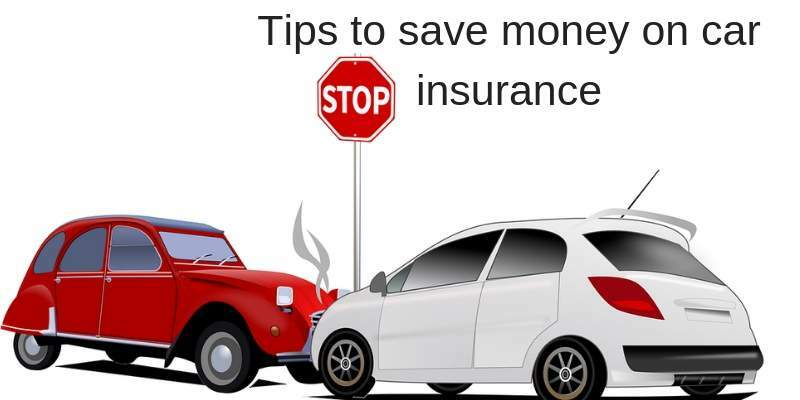 In addition, to the 7 money saving tips for teenage car insurance mentioned in this article, it should be noted that the more kilometres the car is driven per month, the higher the insurance premiums will be. As a blanket rule, most car insurance providers offer cheaper premiums and discounts if you choose a policy that caps the number of driven kilometres to 10,000 per year. Sticking to the policy’s terms and conditions will ensure lower premiums the next year and a possibility of the policy being renewed without any hiccups.